Electric Vehicles everywhere for everyone: Investing in charging stations in suburban areas to improve uptake and unlock the EV market in Lille Metropole. Lille Metropole is a large, predominantly rural administrative district made up of a dispersed population. These characteristics make it incredibly difficult to reliably service all areas with passenger transport – which in turn leads to higher levels of private car ownership. 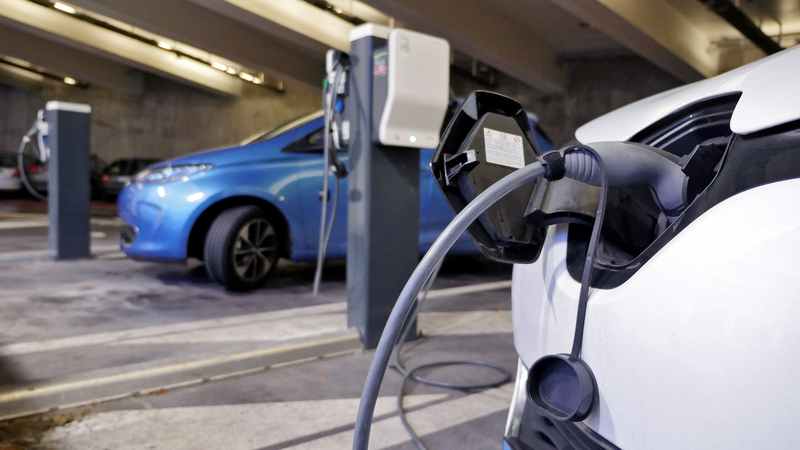 Lille Metropole has recently launched an initiative to improve the network of electric vehicle charging infrastructure to promote EV ownership and reduce the impact that private car ownership has on the district. As the 4th largest French metropolis and the most rural one, the 1.2 million inhabitants of Métropole européenne de Lille (Lille Metropole) are spread over 650 km2 territory. This gives Lille Metropole a relatively low population density of 1 762 per km2 compared with Lyon Metropole 2 568 per km2. A widely dispersed population makes it more difficult to set-up and efficiently run a dense and frequent public transportation network all over the territory. Therefore, the needs for individual car ownership is still high. Data on the average distance travelled between work and home shows this (6.2 km on average during weekdays in 2016). These geographic and demographic characteristics create challenges such as air pollution and congestion within the metropole, and steps have already been taken to tackle these issues. Lille Metropole runs most of their public bus fleet vehicles on natural gas (NGV), which in turn is made from local waste. The next important step to improve air quality is to introduce electric vehicles as this is currently the most viable option for light vehicles in the area. The Metropole will continue to investigate all options as hydrogen for transport continues to expand and engines are adapted to run on hydrogen. In addition, the administration will continue to promote expansion NGV infrastructure (mainly gas stations). Utilising these readily available spaces will help to familiarise the public with EVs, the associated charging infrastructure and to promote their purchase and use. Over the whole metropolitan public main roads, 215 charging stations (on which two cars can be charged at the same time, totalling a potential of 430 charging spots) are necessary to unlock the full potential of EVs. This number corresponds to one spot on public space for each 3 000 inhabitants as recommended by ADEME (Agence de l’Environnement et de la Maitrise de l’Energie). To reach this ambitious number in reasonable time and budget, a win-win-win (citizens, private, and public stakeholders) agreement has been found with Groupe Bolloré to share the distribution of charging stations between urban areas and the suburban zones of the metropole: 167 stations will be installed by the Groupe Bolloré in municipalities of more than 5 000 inhabitants (representing 90% of the population of Lille Metropole). The remaining 47 charging stations are provided by Lille Metropole and are expected to cover the least dense areas, where private, individual car ownership is most needed. This will ensure coverage over the territory and at least one charging station in the centre of each little town in the metropole. While private charging stations will start mushrooming by the end of 2018, all publicly owned 47 stations are now running. Stations in the public domain (streets, municipal roads excluding highways and managed by local authorities such as Lille Metropole) answer a very necessary but specific need: a relatively quick -30 to 60min for full charge- recharge enabling travellers or commuters to stop a few minutes and have enough to reach final destination, either the workplace or home, where they usually stay for several hours and are equipped with a private charging spot. Stations on parking spot on street or squares directly accessible without gateways or the likes are therefore tariffed accordingly: consumers are charged by occupation time even if the car is fully refilled to ensure a better turn-over of vehicles. For longer occupation of charging stations outside the home and workplace, large parking lots infrastructure (mostly underground in the city centre) directly owned by Lille Metropole or its cities (Lille, Roubaix, Tourcoing) enable the development of charging stations in a clearer way. Today, Lille Metropole’s ambition is to make all off-street parking lots (operated by different private operators under a delegation of public services) equipped and delivering charging options for at least 12 EVs each at a time. Alternatively, Park & Ride facilities are ideal for suburban EVs owners planning a day in the city centre. To ensure multimodality, Lille Metropole has 10 Park & Ride facilities with car parks connected to public transport hubs among which 2 are already equipped and the other 8 to be delivered before 2019. There, users can leave their car for about 8 hours when a slow charge is possible. The price for this type of service is still debated and making it free for the EVs owner is an option that is currently under consideration. Rapid deployment of new charging stations has been achieved as a result of close cooperation with regional and national stakeholders: 80 % of the investment has been subsidised by Hauts-de-France Région and by ADEME. These public stations are integrated into a regional offer (former Nord-Pas de Calais Région) to ensure similar price (set by Hauts-de-France Région) and services (paying card, mobile app) with the 300 stations in the area including other cities in the north of France (Arras, Douai, Boulogne among others). The Metropole will ensure that interoperability and price similarities will be guaranteed with Bolloré’s stations. EVs are predicted to have a great future ahead but as far as European cities are concerned, it is much easier to find EVs in media and political commitments than on the streets in urban areas where they will make a difference to sustainable urban mobility. In Lille Metropole, the investigations showed a discouraging prognosis: although a large group of metropolitan residents say they are willing to invest in a personal EV, these good intentions are curtailed by the cost of EVs (on average €8 000 more than a standard vehicle) and by concerns about running out of power due to a lack of charging stations. On the supply side, private charging stations developers were not willing to invest until there had been a net rise of EVs in Lille Metropole. A vicious circle which had no obvious solution. The development of e-mobility is a top priority in Lille Metropole as elsewhere in Europe; the deployment of charging stations is a necessary but not sufficient step toward this objective. The presence of charging stations must be supported by strong communication as a second incentive for residents to purchase electric vehicles. Here again, coordination is essential with the regional authority since the service is extended to other regional cities. However, at the metropolitan level, the double service with private and public stations complicates a strategy which is still being developed. Looking at further technologies and e-mobility applications and uses, Lille Metropole is looking into smart grids and how to soften the impact that EVs will have on the electric network. The Metropole’s authority is also questioning how to ensure coverage for high speed charging stations for motorway users, roads which don’t fall under the cities’ jurisdiction. Lille Metropole is also aware that high capacity batteries are coming fast and will either mean longer charging time or more powerful stations increasing the pressure on the electric grid.